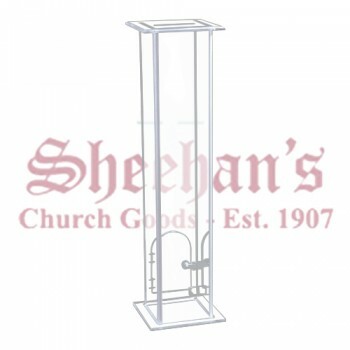 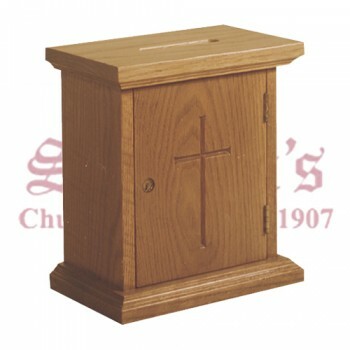 Persuade patrons to donate generously to the church with a handsome offering box. 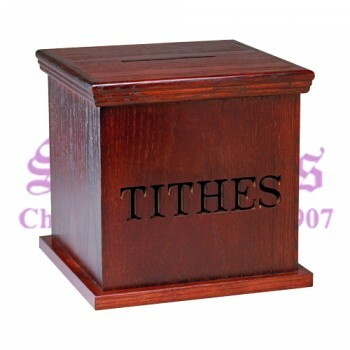 An offering box makes it easy to provide a secure location to gather anonymous donations or tithings inside your church or sanctuary. 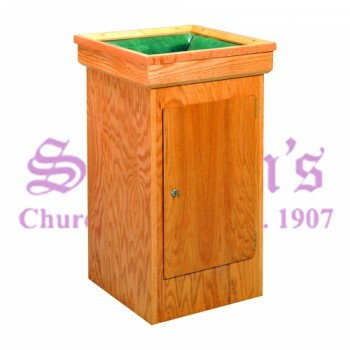 Instead of passing a basket or tray around, members simply drop a donation in the slot located at the top of the box and the amount given and benefactors remain a mystery. 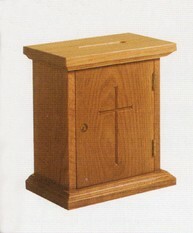 Simply place the box in a central location near a door or an aisle to allow members to donate at their discretion. 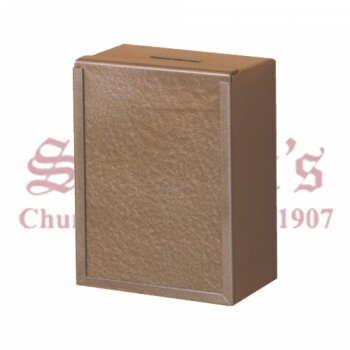 Free will offering containers are typically just as effective as hand-passed methods at encouraging people to give, but eliminate the stress and pressure of public giving that can make members feel uncomfortable. 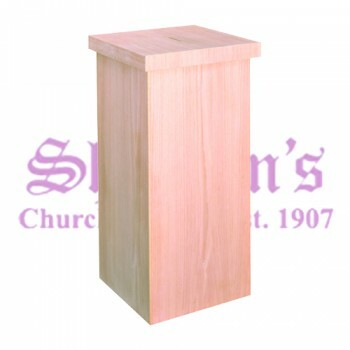 Matthew F. Sheehan offers a variety of offering boxes to choose from in a range of sizes, styles and finishes. 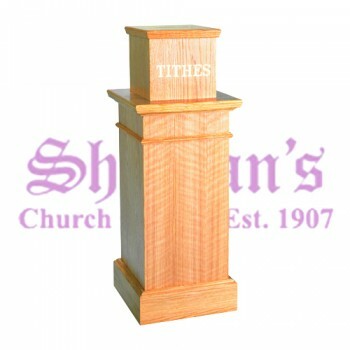 Choose a large box to place near your main door or opt for several smaller wooden offering boxes to scatter throughout the sanctuary. 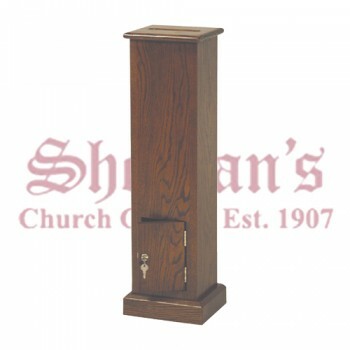 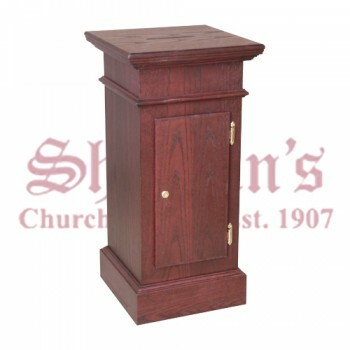 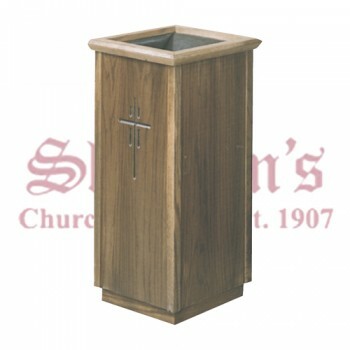 We carry many styles of tabletop and freestanding boxes to choose from to suit every church's needs.